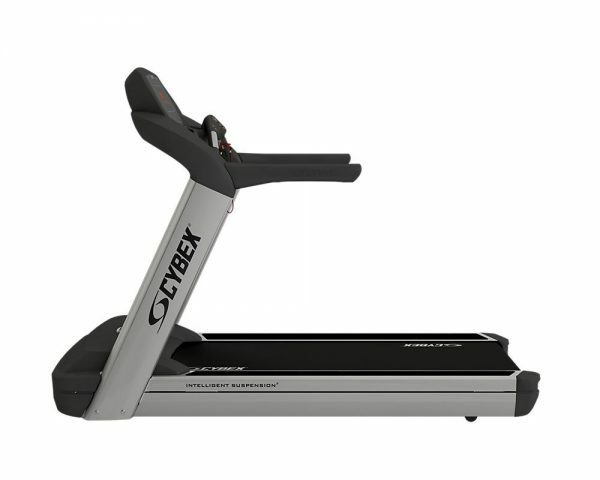 The Cybex Total Access Treadmill is designed to address the exercise needs of people with cognitive, sensory or physical disabilities, as well as the active aging population. 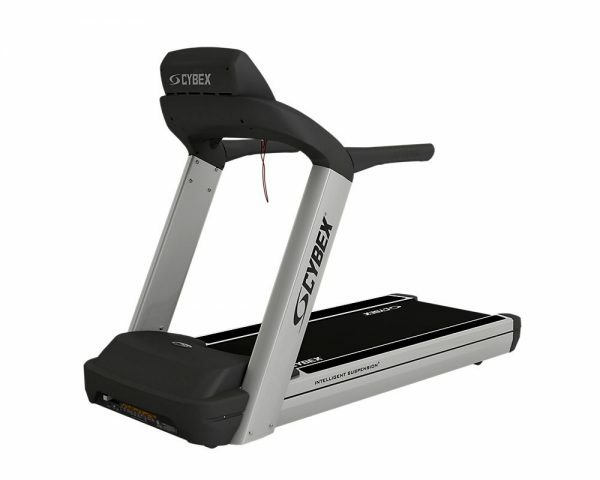 The Cybex Total Access includes multiple belt logos and color contrasted deck and belt to allow users to safely differentiate between the moving and non-moving parts of the treadmill. Raised console iconography and color allows easy identification of the main controls both by color as well as large buttons and text. Emergency stop lanyard provides safe emergency stopping. Multiple Belt Logos ensure that one logo is always completely visible at all times so that visually impaired and other users can recognize if the belt is moving. Emergency Stop Lanyard provides safe emergency stop for users with limited upper limb function. 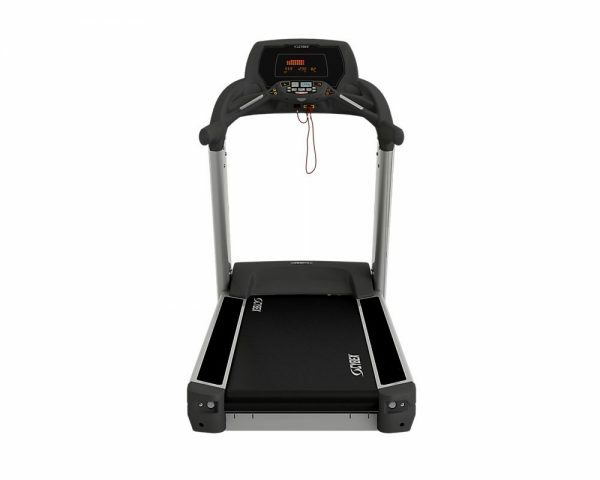 Dimensions: (L x W x H): 82.5" × 36" × 59"
Display: Graphic display of workout profile via 8 × 15 LED; Display of time, speed, incline, distance, calories, heart rate, calories/hour, METs, watts, pace; lower level shows speed and incline level. Programs: Quick Start (Manual Mode), 10 standard workouts including Heart Rate Control; 1-mile Fitness Test and Gerkin Protocol. 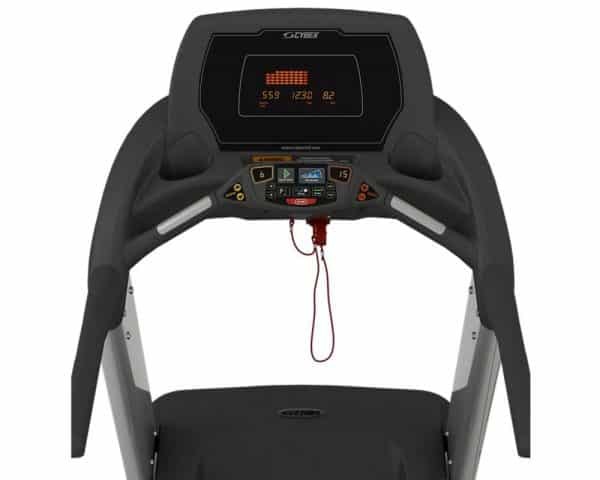 Heart Rate Monitoring: Includes Contact and Wireless capability.